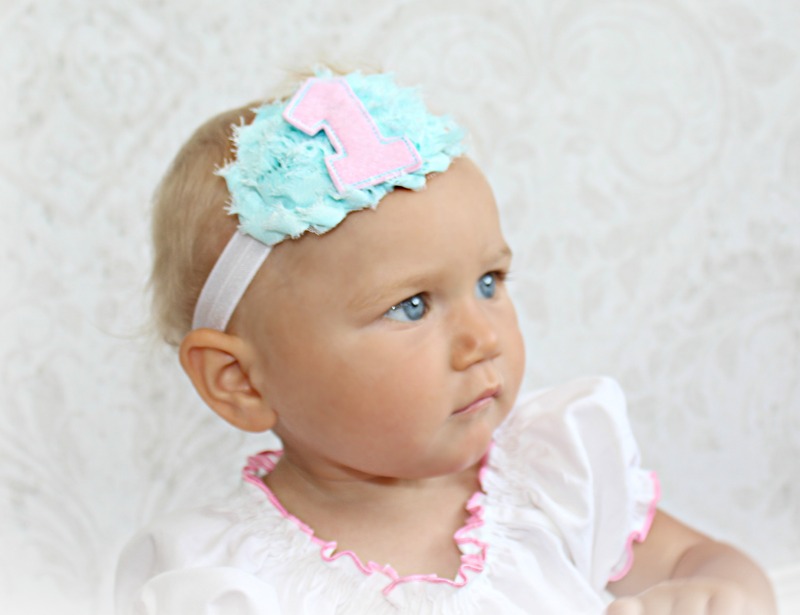 An adorable combination of pink and teal. 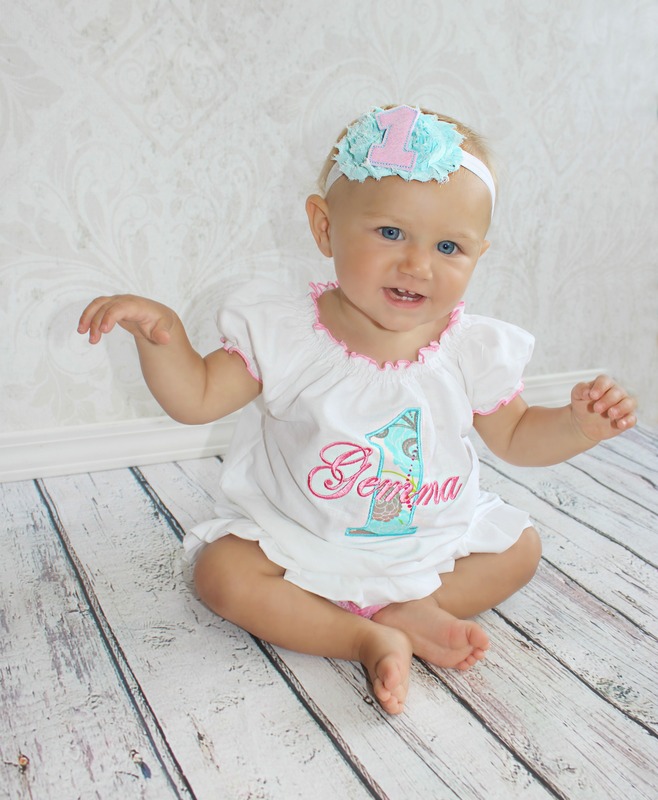 Complete the outfit with the optional coordination number 1 headband and diaper cover options. She will be all dressed up for her big day! !